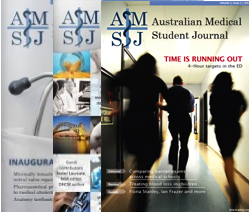 Lachlan submitted this article to the AMSJ while in his final year of medicine in 2009. During that year, he was awarded the Dr Elaine Katte Prize and the Australian Medical Association Memorial Prize. Iatrogenic bile duct injury (BDI) is a known complication of laparoscopic cholecystectomy with serious consequences for the health of the patient. 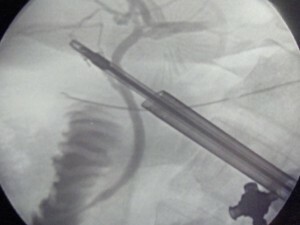 Intra-operative cholangiogram (IOC) has been shown to reduce the incidence of a major BDI, and is currently used routinely by the majority of surgeons in Queensland. This case report details the use of a ‘retrograde IOC’ for the detection of a BDI after inadvertent cannulation of the common bile duct (CBD). Application of this method has the potential to improve patient outcomes in two ways. Firstly, by limiting the degree of damage to the CBD, it may facilitate a simpler and more successful repair. Secondly, it provides a method of laparoscopic confirmation of BDI and, where laparoscopic hepaticojejunostomy is available, can entirely prevent the need for an open procedure.